Team Novo Nordisk is novel, though you wouldn’t hear it from the team members themselves. As a unit, they battle day after day through gruelling workouts to compete on the international bicycle racing scene, travelling all over the globe to give everything they’ve got against the best in the world. They’re international men and women. They’re at the peak of their physical prowess. And, what makes them singular in their pursuit: they all suffer from type 1 diabetes. However, in talking with the team, especially 21-year-old Canadian rider Reid McClure, “suffer,” is the wrong word to use to describe his approach to his condition. If he and his teammates are “novel,” they certainly aren’t looking for help or holding up their diabetes as an excuse to give anything less than their best. No one is looking for sympathy. 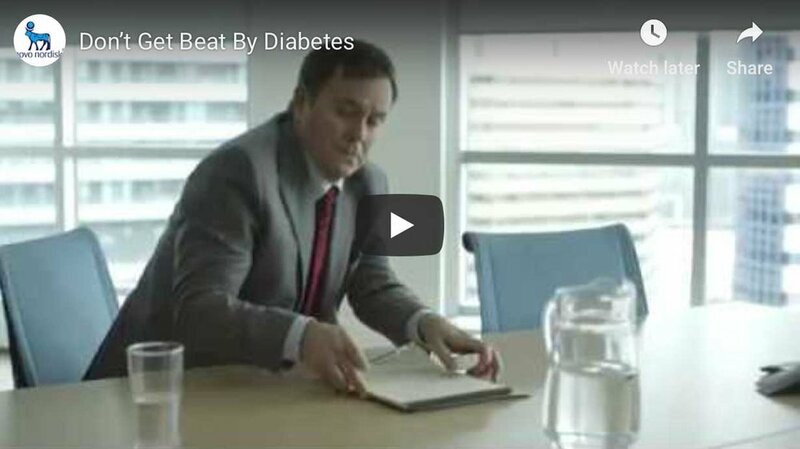 “I think the attitude towards diabetes is changing, especially in Canada, Europe and the United States,” says Mr. McClure, a rider from Calgary now based in Montreal who earned his way onto Novo Nordisk’s pro cycling team through its wildly popular developmental program. Team Novo Nordisk is sponsored by the Danish pharmaceutical company that first produced the life-saving drug insulin discovered by Canadians Frederick Banting and Charles Best. Today, Novo Nordisk is the world’s largest producer of insulin. Team Novo Nordisk merged with its predecessor, Team Type 1, an Atlanta-based cycling team in December 2012. The dream of cyclist Phil Southerland, who had been treating his type 1 diabetes while training for a 3,000-mile race across the United States, the team has grown into not only a competitive, all-type 1 diabetes race crew, but also a source of inspiration for people with (and without) diabetes all over the world. Team Novo Nordisk now has more than 8 million followers on social media. “There’s nothing better than meeting somebody with type 1 who tells us they changed their life because of something they’ve seen you do,” says Mr. Southerland, who was diagnosed with type 1 when he was seven months old and has been racing bikes competitively since he was 12. “This guy, I’ll never forget it. He said, ‘Oh my God, you’re my hero,’ and from there he got his diabetes under control. I saw first-hand how much better his life was when he went from poorly controlled to well-controlled diabetes, and that was it – I knew I could make an impact,” says Mr. Southerland, today a 36-year-old father of two who still competes at races all over the U.S.
On the road toward achieving that goal, Team Novo Nordisk isn’t just a cycling team for professional riders who have been diagnosed with type 1. It goes deeper. Their mission is to inspire people living with diabetes to believe that through proper management and care, they can achieve greatness. It’s a message that certainly rings true for Mr. McClure, a graduate of the Novo Nordisk “hero factory,” which turns youngsters with promise into athletes challenging the best in the world. For Mr. McClure, who was diagnosed with diabetes at age 3 and grew up with parents who encouraged and always supported his living a life the same as anyone else, the opportunity to ride with Team Novo Nordisk is a dream come true. He wants to cycle against the best in the world. He also wants everyone who lives with diabetes to know this: if they manage their symptoms and monitor their blood sugar, there’s nothing that they can’t do. “Diabetes no longer has to be seen as an anchor; it doesn’t have to hold you back from anything, and I’m not just talking about sports,” says Mr. McClure, adding that the team was instrumental in taking him from a kid with promise to someone who, one day, may just compete in the 2021 Tour de France, the 100th anniversary of the world’s most famous race.